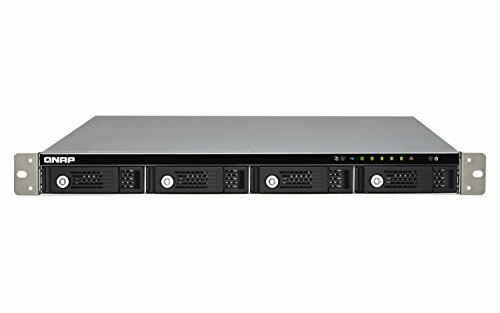 The 4-bay TS-431U offers the optimal price/performance in a compact 1U chassis network storage server for file sharing, backup, synchronization, remote access, and more. Powered by an advanced ARM Cortex-A9 dual-core processor and 1GB RAM, the TS-431U delivers outstanding multitasking performance as a business NAS featuring four USB 3.0 and dual Gigabit LAN ports while maintaining low power consumption for 24/7 always-on usage. See how the TS-431U can enhance your working productivity & offers a private cloud for accessing data easily and securely.